The two-time CART champion's life is inspirational for everyone. 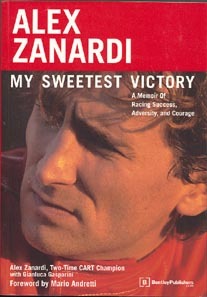 A horrific accident at Lausitz, Germany Zanardi lost both legs. He was lucky to survive because of blood lost. This is a story of a man with an unfaltering spirit for life and passion for auto racing. His amazing rehabilitation and his return to auto racing. This is a heart warming story.